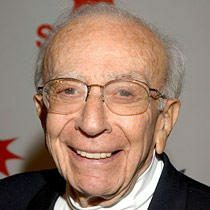 Sherwood Schwartz was born on November 14, 1916 in Passaic, New Jersey, USA as Sherwood Charles Schwartz. He was a writer and producer, known for Gilligan’s Island (1964), The Red Skelton Hour (1951) and Adventures in Babysitting (1987). He was married to Mildred Seidman. He died on July 12, 2011 in Los Angeles, California, USA.